Our company has managed to carve a niche in the market for the manufacture and supply of a wide range of products such as the Extrusion Blow Moulds which have been made using a high quality of raw materials which have been bought from well known vendors in the market. These products offer a high performance to the customers and they offer a high performance to the customers. They are rust proof in their make and have been priced at very affordable rates. • price range: 8 to 10 lac. 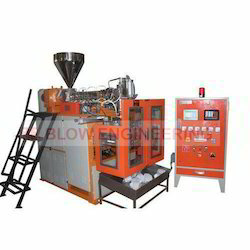 Looking for Extrusion Blow Molding Machine ?